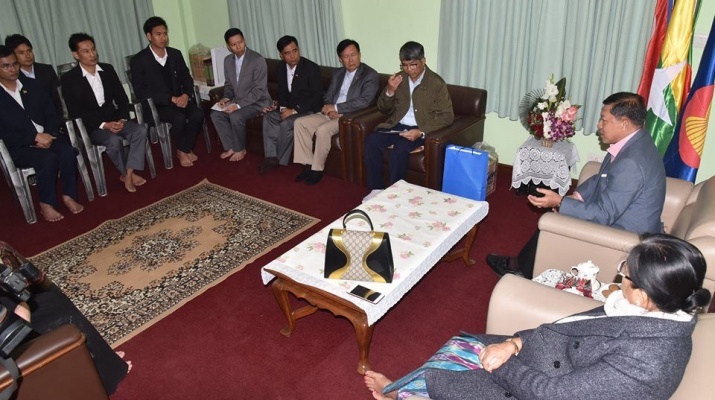 Commander-in-Chief of Defence Services Senior General Min Aung Hlaing who is on a goodwill visit in Nepal met with staff and families of Myanmar Embassy in Kathmandu at the parlour of the embassy yesterday late evening. Senior General Min Aung Hlaing accompanied by wife Daw Kyu Kyu Hla, senior military officers of the Office of the Commander-in-Chief, Myanmar Ambassador to Nepal U Tun Nay Lin and wife, Myanmar Military Attaché (Army, Navy and Air) to India Brig-Gen Thein Zaw and wife, arrived at the embassy and was welcomed by embassy staff and members of Nepal-Myanmar Friendship Council. 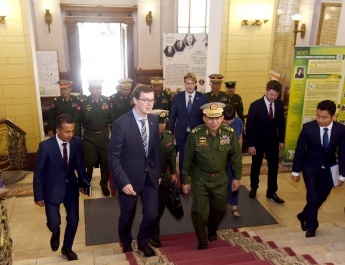 At his meeting with the embassy staff and families, the Senior General said the goodwill visit is for enhancing relations between the two countries and the two armed forces. Myanmar and Nepal has basic connections and there are Myanmar citizens born in Nepal and residents of Nepal born in Myanmar. 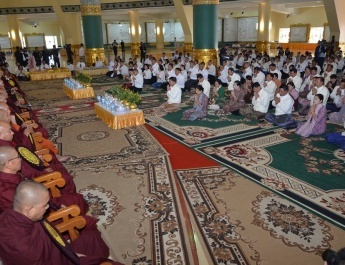 Historically, Myanmar and Nepal are much closer in culture and religion, so the two should cement friendly ties. During the meetings with the President, the Prime Minister, the Defence Minister and the Chief of Army Staff of Nepal talks were centred on promoting bilateral friendly relations and promotion of economic cooperation. The embassy staff should do their best to realize this goal. They should take care of their health as the weather in Nepal is harsh. They should also help facilitate the bilateral visits of Myanmar-born Nepalese citizens and Nepalese citizens. 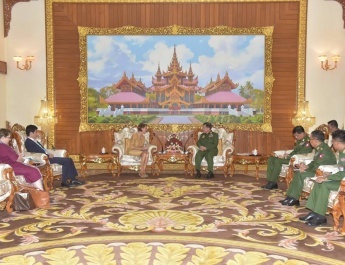 The Senior General then explained the country’s march on the multi-party path chosen by the people, the Tatmadaw’s efforts for its durability, Tatmadaw’s non-involvement in party politics and its participation only in the national cause, the government employees’ need to stay away from party politics, and progress of the peace process. 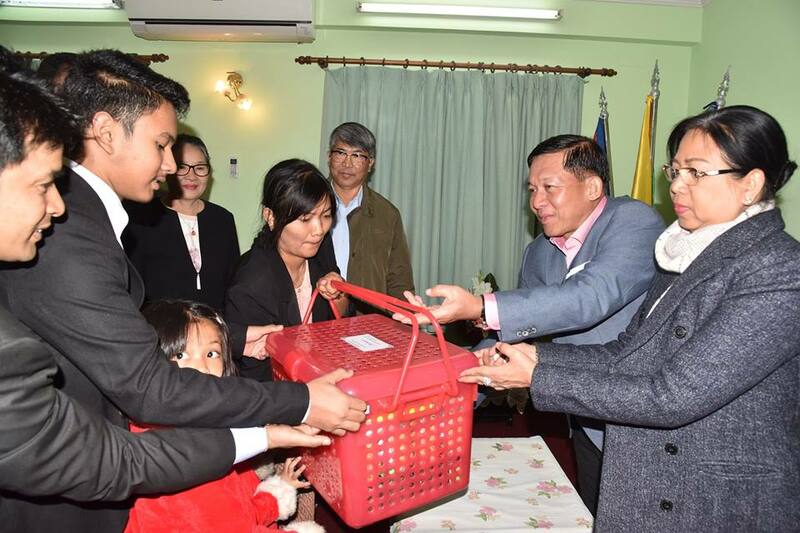 After the meeting, the Senior General presented gifts and cash award to the ambassador and wife and the Myanmar military attaché and wife and embassy staff and families. The ambassador and wife hosted a dinner to the Senior General and the goodwill delegation.